On Saturday 2nd September at 4pm we will be holding a special service at Helsby Methodist Church (WA6 0AQ) to welcome the new Presbyter ( Minister) Rev’d David Bintliff, his wife Gemma and daughter Charis to our Circuit. Rev’d David will have pastoral responsibility for Helsby, Kingsley Hurst and Kingsley Blakelees churches and we look forward to working with him. Refreshments will be served afterwards. We will also be saying Thank You to three Supernumerary Presbyters who have been working in this section for the past twelve months while we were looking to make a new appointment. We thank Rev’d Anne Gibson and Rev’d Ian Rigby for their work in Kingsley and Rev’d Christine Jones for her work in Helsby. Their help and guidance has been much appreciated. Sunday 3 September – Welcome to David’s first service at HMC! 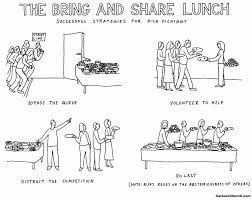 You are warmly invited to our morning service commencing 10.30am followed by a bring and Share faith lunch.